Walt Gosden has written this article for VanderbiltCupRaces.com on the day author Eric Hatch drove his Model S Mercedes114 MPH on the Long Island Motor Parkway. 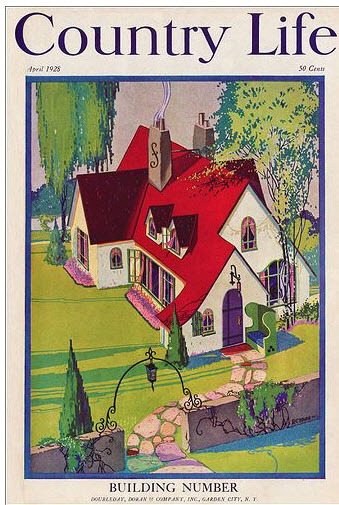 Country Life magazine was a huge lavish monthly periodical that was published in Garden City, N.Y. in the plant of publisher Doubleday, Doran & Company Inc. The facility was the home of this landmark publisher for ages and located just south of the rail road tracks on the East side of Franklin Avenue. 87 years ago their issue for February 1928 was subtitled their "Decorating Number". One of the regular columns in the magazine was titled "The Motor World" and was written by Eric Hatch. The byline for the February 1928 column was "Some foreigners and a debutante". Hatch discussed cars that were recently on exhibit at the annual custom body salon held in the Hotel Commodore which was located a few doors down from Grand Central Terminal on East 42nd Street in Manhattan. 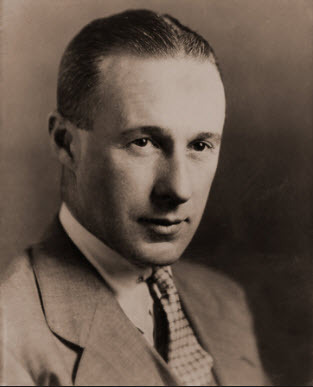 Eric Hatch (1901 - 1973) was also on the staff of the New Yorker magazine for many years, but is perhaps best well known as an author and screen writer. His story ' 1101 Park Avenue' was the basis for the great classic movie "My Man Godfrey" that stared William Powell and Carole Lombard (who had been married at one time, but divorced and remained friends) . The picture was nominated for 6 Academy Awards! Of interest to enthusiasts of the Long Island Motor Parkway was Hatch's comments in his column about the new Model S Mercedes he had seen at the recent salon and also in the showroom of Mercedes Benz Company Inc. at 247 Park Avenue at 47th Street, NY, NY. 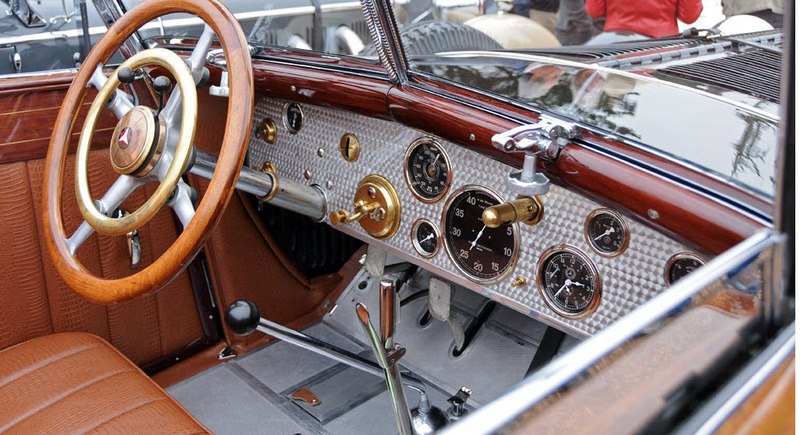 "The engine is six cylindered with an overhead camshaft. It is supercharged and will turn over 3,000 R.P.M. 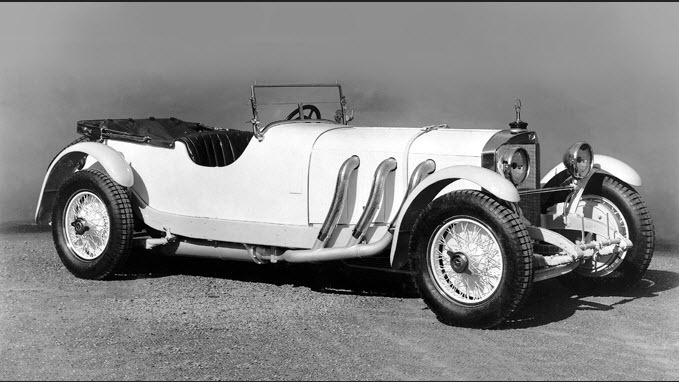 It has dual ignition and, to please everybody, tremendous silvery exhaust pipes that stick out through the engine hood. The other day a friend of mine was running down the Motor Parkway in one of these. At Garden City an aeroplane swooped down low over him, and in the next straightaway he let her out. They raced thus a little way and gradually the car pulled away from the plane, attaining a speed of about 114 an hour and not wide open! This sounds almost incredible , but when one realizes that the machine is built for that purpose and costs around fifteen thousand, it begins to seem more possible As a matter of fact the really curious thing about them is the fact they can actually be driven in city traffic as well, with quite a fair degree of comfort." Can all of you imagine an "aeroplane" from Roosevelt Field hovering above the car with 'tremendous silvery exhaust pipes' going down the Long Island Motor Parkway at 114 mph? To put it in some perspective - the tires on the cars of that era were narrow in tread compared to today's tires, (bias ply, not radial) so the surface area to stop (or even slow down) once the brakes were applied was less than adequate, and the braking system itself was primitive compared to today's anti-lock, skid proof, won't get you killed (hopefully) systems. 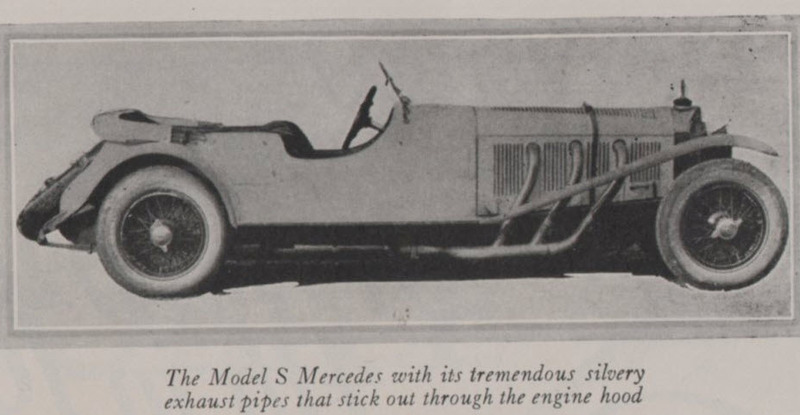 My thanks to my great friend and automotive historian Jim Pearsall of NJ (a Woodmere/Lynbrook native) who brought this article to my attention decades ago. I only just rediscovered it, and happened to have an original issue of Country Life magazine in my archives to reference it from. All of the discoveries (Jim's mention in a letter and me locating the magazine) came about because of a "giant cleanup" and sort out of my library over the past several months while I was laid up with a fractured leg bone. So now I can no longer have my study/library be compared to the house/ collection of Langley and Homer Collyer of Harlem. I enjoyed that bit of automotive history. Thanks for posting it.